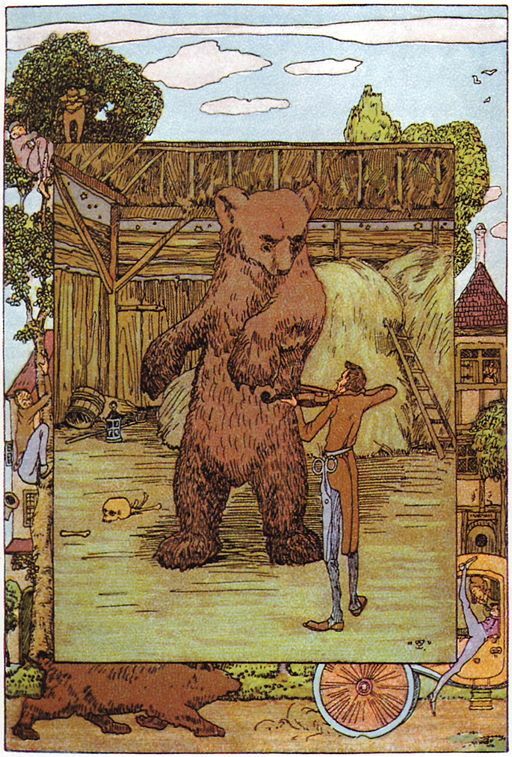 Enjoy this Brothers Grimm tale about how a clever tailor solves a riddle, makes a bear "nuts," pulls some strings to teach it violin, and wins his bride! The illustration is by Heinrich Vogeler in the 1907 edition of Grimms' collection of fairy tales, Kinder- und Hausmärchen.. If you enjoyed this story, you might like Hans Christian Andersen's The Travelling Companion which also involves a courtship with potentially deadly riddles. Add The Cunning Little Tailor to your own personal library.